Having a professional carpet cleaning performed is often a major “wow” moment for homeowners and business managers. When you see the carpet in your home or office every day, it’s hard to tell just how dirty or stained it is getting. Seeing the dramatic after moment feels like getting a whole new carpet. But now that you have a like-new carpet, you’ll probably want to make the clean and fresh appearance last as long as you can. Here are a few strategies for avoiding stains and grime on your beautiful carpet. One of the biggest reasons that carpets stain is due to neglecting maintenance. Regular vacuuming and spot cleaning any spills as soon as possible is the best way to keep a carpet looking great long-term. The longer these activities are put off, the harder it is to remove set-in stains and grime. If you are cleaning up a spill right away, be sure to blot rather than to wipe, as wiping will spread the stain rather than remove it. Another great strategy for avoiding grime buildup is to stop the grime from entering the room in the first place. Ask that all shoes be removed at the door, make it a rule that pets have to enter through a different entrance, or set up a station by the entrance to wipe down muddy paws and shoes. 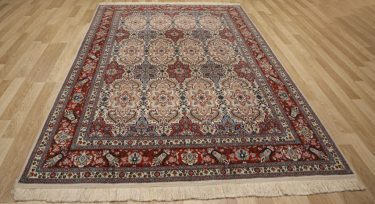 A long textured runner in front of the entrance will at least grab any loose dirt and debris, even if guests forget to wipe their feet as they enter. If you are trying out a new spot cleaner for your carpet, be sure to test it on a small, inconspicuous area before applying to the entire carpet. Not all cleaners that are sold in supermarkets and chain stores are tested for safety. They can cause staining, or leave behind sticky residue that grabs even more dirt and dust over the next couple of days. 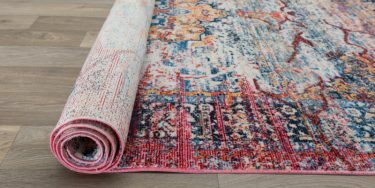 If you are trying out a new product, spray a small amount in a corner, or under a piece of furniture first, and see how it affects the carpet over the next day or two. There are products that coat, or Scotchguard, carpets, keeping them sealed and protected from the elements. 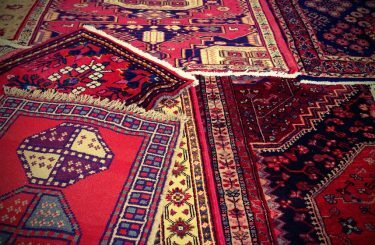 If your carpet has not been professionally cleaned very recently, it’s a bad idea to do this. The protector will seal in any grime or stains on the carpet, which will then sit there and ruin the carpet while you can’t clean them up. Leave the coating to right after having a professional carpet cleaning performed. 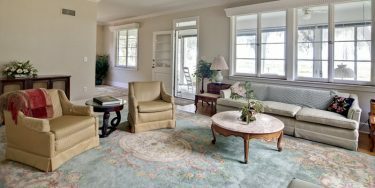 It doesn’t take much to keep your carpet looking clean and fresh, and these strategies can help you save money by going longer between deep cleans. You’ll be able to sit back and enjoy your beautiful carpet without the stains and grime.